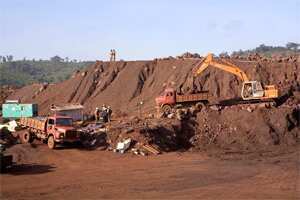 Mumbai: Iron ore exporter Pisces Exim India has drawn up a ₹ 1,000 crore expansion plan that envisages the acquisition of mines in the country as well as abroad with a view to increase its share of India’s export market. “We are looking at an investment of ₹ 1,000 crore over the next two years for our expansion. We will invest around ₹ 700 crore in buying domestic mines and ₹ 300 crore in joint ventures for mining in Malaysia, Indonesia and Thailand," Pisces Exim managing director Soumit Jena told PTI here. “We expect to capture 20% of the iron ore export market from the country, at 10 million tonnes, out of 50 mt annual exports by the turn of the next fiscal. To achieve our target of 10 mt exports, we require our own mines and need to invest approximately ₹ 1,000 crore," Jena explained. At present, Mumbai-based Pisces Exim exports iron ore and ore fines to the Middle East and China through state-run undertaking PEC and had exported 5.7 mt iron ore last fiscal. The company hopes to export 6 mt this fiscal. The association with PEC, which comes under the Commerce and Industry Ministry, has given financial support to the company, he said. Boosted by this association, the company’s turnover jumped from a mere 13 crore in the year 2005-06 to ₹ 400 crore in 2008-09 and ₹ 1,000 crore in FY’11.